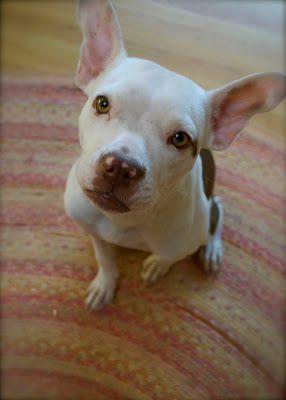 Cabin Fever: What your (Unexpected Pit Bull) Calendar bought! With so many dogs in need, we learned long ago that a rescue-only focus was going to bury us quick and burn us out even faster. So our 'teach a man to fish' philosophy was born: As much and as often as we can, we share what we know with animal care professionals around the country in conference presentations, workshops, articles, mentorships and internships that we call Pit Ed Camp. The work intensive jam sessions of 'Camp' have been especially gratifying because they give shelter staffers hands-on opportunities to work on learning projects that matter: Everything from exercises to keep kenneled dogs content and well socialized, to setting up dog play dates, to running a public training class and a spay/neuter outreach event in low income neighborhoods. Then the real fun happens - After our guests go home, we get to watch them implement lasting change in their home shelters as a result of what they learned. 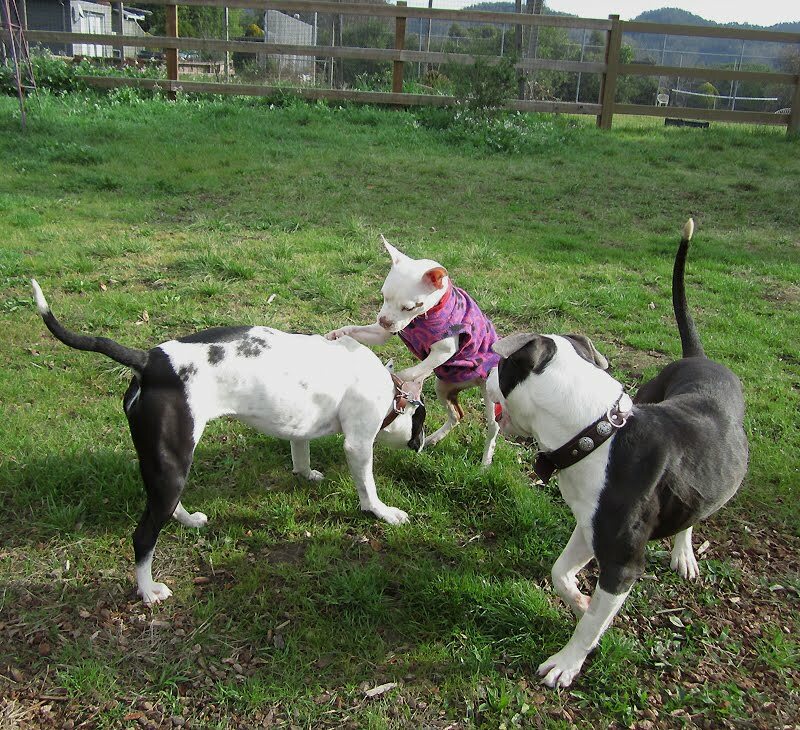 With shrinking animal control budgets, covering the travel/housing costs of internships can be the biggest obstacle to seeding progressive bay area practices in other cities. 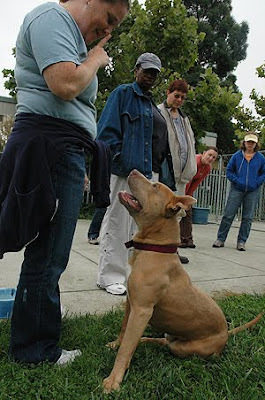 In 2011, we were honored to receive a grant from PetSmart Charities to bring shelter workers here via a partnership with Best Friends Animal Society for a busy four days of instruction. But the cost to house them ate up a big chunk of the budget (over 10K) - money that could've gone to other pressing needs - like, providing more free spay/neuters for low income neighborhoods. Enter the Unexpected Pit Bull Calendar. This generous group of dog loving photographers from organization HeARTs Speak pour their hearts into incredible calendar photos and then give 100% of the profits away to rescue groups. One hundred percent of proceeds donated! Last year, the UPBC helped us build an addition on our Rescue Barn, which gave us laundry and allowed us to save the lives of some very special dogs including Star. In the new year, their generosity continues. Thanks to the UPBC's vision, we've been able to buy ... drumroll please ... on-site accommodations for interns in the form of this small guest cabin! How fabulous is that? 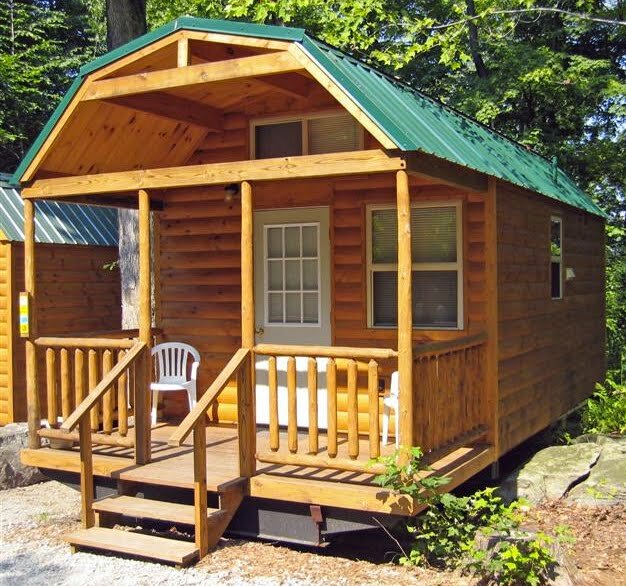 The cabin will make Pit Ed Camp more affordable and will also allow us to welcome out-of-area adopters and other special visitors. Look how cute this thing is! It will live right next to the Rescue Barn so - of course - the foster dogs will also get a chance to try out real world house skills with visiting guests. Would we have it any other way? We're thrilled, delighted and downright giddy about the chance to continue this important work and help other communities get the info they need to help their dogs back home. Thank you Unexpected Pit Bull Calendar! Vick Dogs 'sign' books in Pacifica this Saturday - Come join us! A benefit book launch at Pacifica dog boutique AnnaBee's will host three former 'Michael Vick dogs' on Saturday, January 21 from 1-4pm. The dogs appear in photographer Melissa McDaniel's newest book titled, "Pit Bulls & Pit Bull Type Dogs - 82 Dogs the Media Doesn't Want You to Meet." 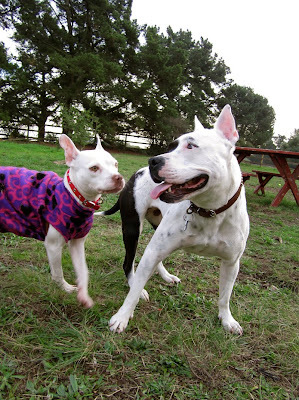 Bay Area dog fans will have an opportunity to meet three dogs who survived Michael Vick's dog fighting operation on Saturday, January 21, from 1-4pm. Dogs Jonny Justice, Teddles and Uba will be offering paw print autographs, friendly licks and photos in celebration of the launch of Melissa McDaniel's third and newest book in The Photo Book Projects series, titled: "Pit Bulls & Pit Bull Type Dogs - 82 Dogs the Media Doesn't Want You to Meet." The event is a fundraiser for BADRAP, the Oakland-based non-profit that participated in the landmark animal welfare case through the evaluation, rescue and recovery of Vick's former dogs. BADRAP brought 13 of the dogs back to the SF bay area after a federal judge in Virginia cleared their release. All of the dogs - including Jonny, Teddles and Uba - have been adopted by local families. Each dog has earned his Canine Good Citizen Certification and Jonny went on to become a therapy dog, helping learning disabled children find the confidence to read. Philadelphia-based portrait photographer Melissa McDaniel first spent time around pit bulls when she volunteered to photograph dogs at her local shelter several years ago. "I admit I was a little hesitant around these dogs at first since I had never spent much time around them and I believed the negative media hype. 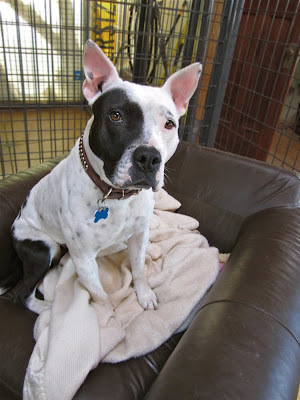 However, after the third or fourth pit bull type dog I photographed wanted nothing more than to wag his tail and lick my face, I quickly realized that the media has it all wrong." To create her latest book, McDaniel toured the US for six months, traveling 12,550 miles to photograph 82 pit bull or pit bull type dogs. 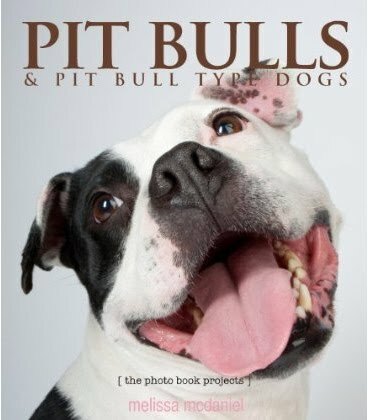 She said, "Ever since I decided to create a series of photo books on dogs, I knew I would be devoting an entire book to pit bulls. You only have to visit your local shelter to understand why." BADRAP Director Donna Reynolds noted, "Watching Melissa work with the dogs was fascinating. She drew out their joyful natures and just poured their personalities into her photographs. These photos can probably do more to help the public see the souls of these dogs than just about anything we could ever hope to say or do!" The event is Saturday, January 21 from 1-4pm at AnnaBee's in the Pedro Point Shopping Center at Linda Mar Beach. Suggested donation five dollars. Established in 2009, AnnaBee's Doggie Boutique & Cafe is a pet fashion boutique and indoor cafe for dogs located in the Pedro Point Shopping Center in Pacifica, CA. AnnaBee's boutique offers ready-to-wear couture garments for dogs of all sizes and a unique selection of handmade accessories and eco-friendly toys for cats and dogs. 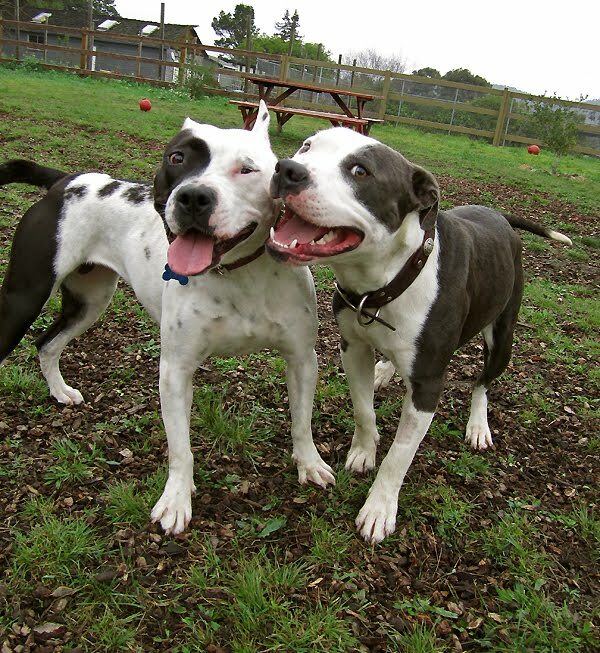 BADRAP formed in 1999 to tackle the difficult issues that had been bringing early death and suffering to San Francisco bay area pit bull type dogs. They soon developed into a nationally recognized resource for both dog owners and shelters, offering desirable pets for adopters, training classes for dog owners and presentations and professional consultations to animal welfare leaders around the country. The Photo Book Projects is a series of photo books (and more!) designed to raise awareness about companion animals in the U.S. and Canada today, especially those that are mistreated or abused. Issues addressed include the pet overpopulation problem, breed-specific legislation, puppy mills and myths about deaf dogs. A percentage of the proceeds from the first three photo books, Deaf Dogs, Rescued in America and Pit Bulls & Pit Bull Type Dogs, is donated to animal rescue and advocacy groups. The state of Ohio is a few short steps away from dismantling a dog control law that has defined "dogs commonly known as pit bulls" as "dangerous and vicious" for the past twenty five years. House Bill 14 - which would remove the breed-specific definition from the Ohio state law and make much needed improvements to the dangerous dog law - was unanimously approved by the Senate Judiciary Committee on Tuesday 1/10 and is expected to move through a Senate vote as soon as next week before heading to the governor for his consideration. 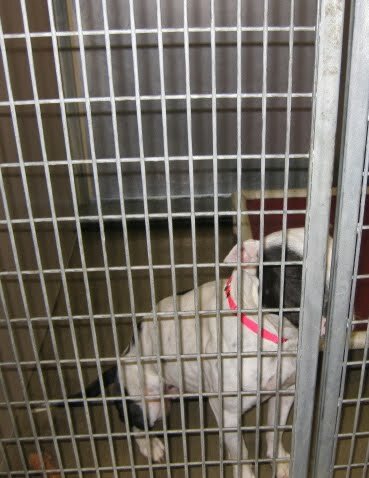 The current law that singles out pit bulls for discriminatory treatment has been around so long that most animal care professionals and dog wardens we polled had no idea what caused it to end up on the books in the first place, but most everyone agrees that it's done nothing to reduce dog bites, decease shelter numbers or make communities safe from the deeds of irresponsible and reckless dog owners. Just the opposite: Pit bull popularity flourished after Ohio's state law condemned the dogs, shelters have stayed crowded, euthanasia rates are depressingly high and the dogs continue to cycle through some of the most irresponsible hands in Ohio communities. The outcry against the current law has been gaining momentum since notorious pit bull-hating dog warden Tom Skeldon resigned from his position as dog warden in Lucas County. Progressive voices agree: The current law is defective, it's discriminatory and it's gotta go. 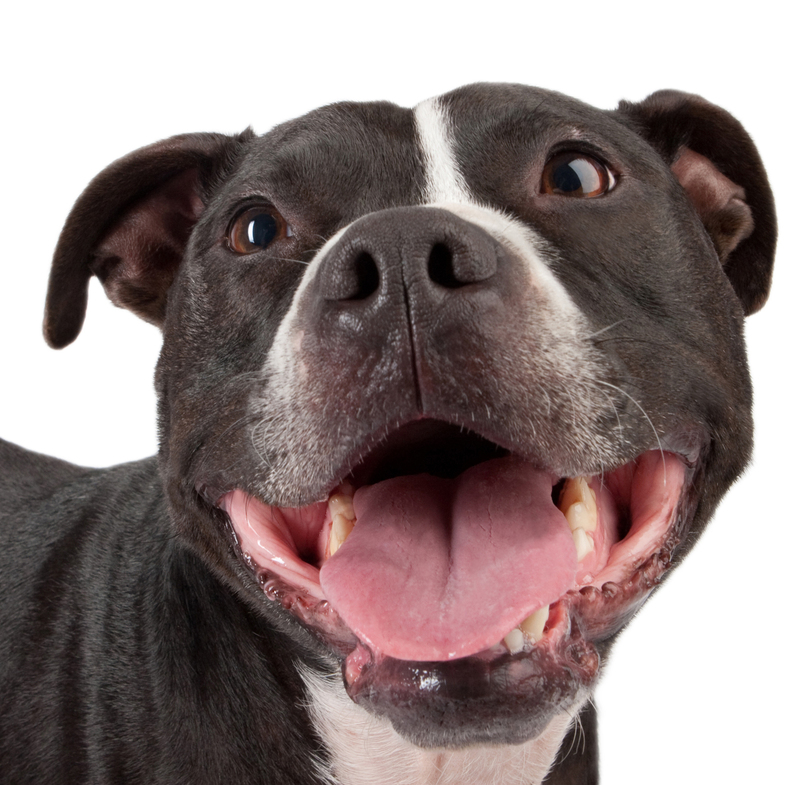 Will breed specific legislation end in Ohio the minute HB14 becomes law? Well, no. HB14 is not a magic wand that will wave BSL away in cities that have it, and it won't stop municipalities from enacting it. Fighting those battles will take the usual blood, sweat and tears - one city council meeting at a time. But without the state mandated definitions that currently malign "dogs commonly known as pit bulls," it will make for a much easier fight. So if it can't bump BSL, what's HB14 good for? Passage of this legislation will ring in a new era of common sense and will allow Ohio to tackle dog issues more effectively and without victimizing typey dogs and responsible owners. It will signal to the public, to local law makers, and even to our friend the media, that the state regards dogs as individuals whose behaviors cannot be pre-determined by breed make-up - All of which will make room for strategies that directly target the human element in dog ownership. Insurance obstacles will be neatly removed. 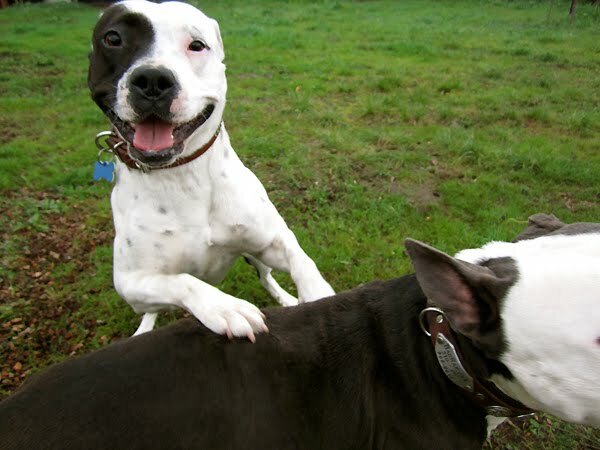 Without the dangerous/vicious label and its built-in liability factor, companies like State Farm will be able to fully embrace pit bulls and write non-discriminatory policies just as they do in the rest of the country, allowing more responsible homes to own the dogs. Shelters that have held off will finally get the green light to promote pit bulls for adoption, stealing business away from the backyard breeders who've been so busy all these years. Right - This 17lb mixed breed adult dog was caught up in an Ohio shelter's pit bull adoption ban and set to be destroyed. Needless to say, Blink came back to Oakland with us after we met her. She's another reason that breed discriminatory policies victimize perfectly adoptable dogs whose only sin is being born with short fur and a blocky head. An important piece of HB14 will give Ohio dog wardens more tools to seize and hold dogs whose behavior defines them as dangerous or vicious - regardless of breed type. Once this piece was added to the bill, the Ohio County Dog Wardens Association signed on with its support - an important endorsement for obvious reasons. It also restores the responsible dog owners' ability to enjoy their pets, comply with licensing requirements, and reclaim strays without fear of penalties, restrictions, or loss of insurance. New adoptions, increased licensing, more owner returns and fewer enforcement headaches will be a boost to dwindling animal control budgets. Like a dress rehearsal for HB14, The City of Cleveland stuck their necks out last June by amending their vicious dog ordinance, removing its definition of pit bulls as "dangerous" and classifying dogs based on behavior rather than appearance. 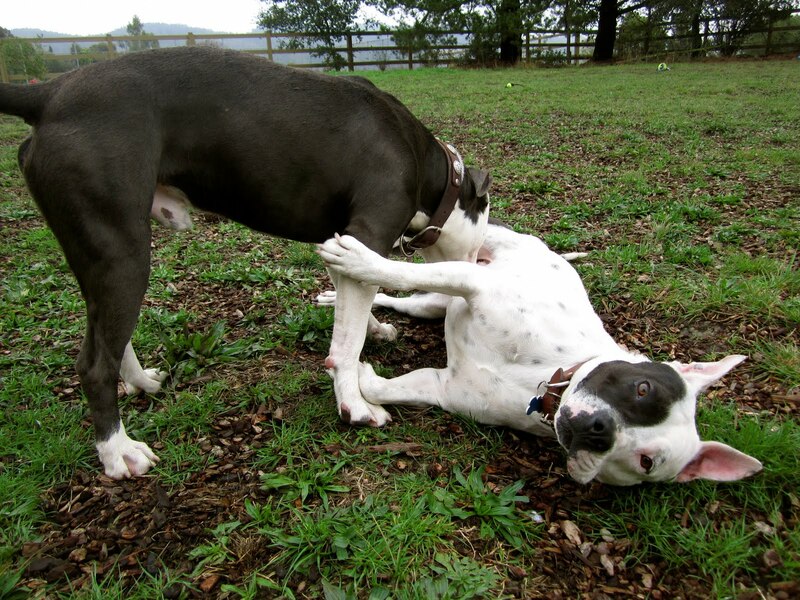 (News) Cleveland Councilman Matt Zone explained, "The breed of a dog is not an indicator of its personality. 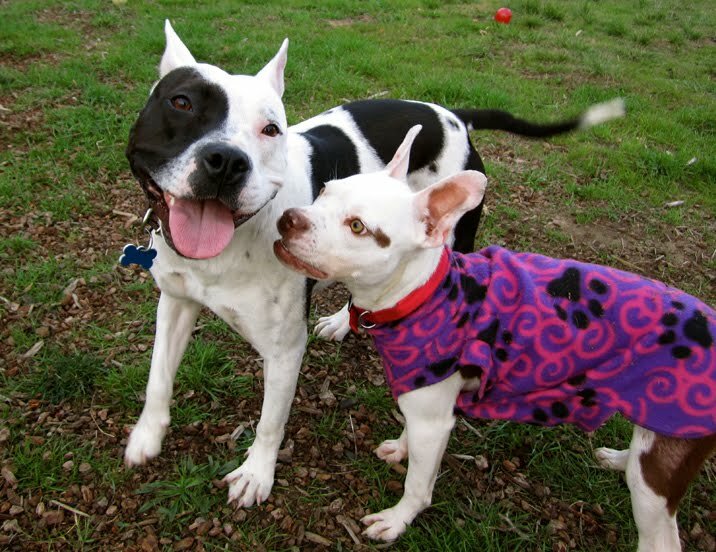 Any dog who is poorly trained and neglected can be vicious and a threat to our community. These revisions shift the focus from the type of dog to its behavior and neglectful actions of its owner." 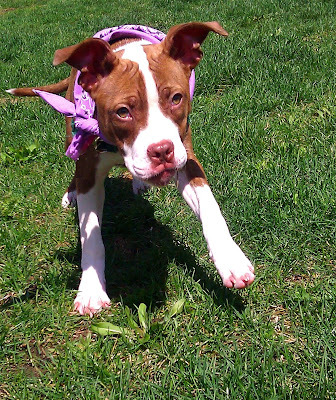 Animal pros in that town pushed the progress one step further when Cleveland Animal Protective League (CAPL) lifted its 20-some year ban on pit bull adoptions. 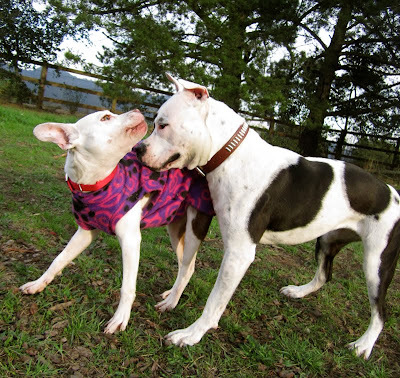 Since they put their first pit bull on the adoption floor in June ('Joliette' - right), they've enjoyed steady adoption success with at least one pit bull type dog going home every week. Not bad for a shelter operating in the shadow of Ohio's discriminatory state law. CAPL tells us they expect to be able to save many more lives once insurance obstacles are removed through the passage of HB14. Humane Society of Greater Akron. They never wavered in their commitment to helping the neediest dogs in their community and have absorbed numerous victims of cruelty over the years, regardless of breed. They're also very excited about the prospect of easier adoptions when HB14 passes and insurance obstacles are removed. We spent two of our most exciting weeks of 2011 in Ohio, working with CAPL to noodle best practices for their adoption program, meeting with city officials and later presenting to Ohio dog wardens in preparation for big changes ahead. This spring, we'll be back yet again to help another shelter take the leap and put pit bulls on their adoption floor. 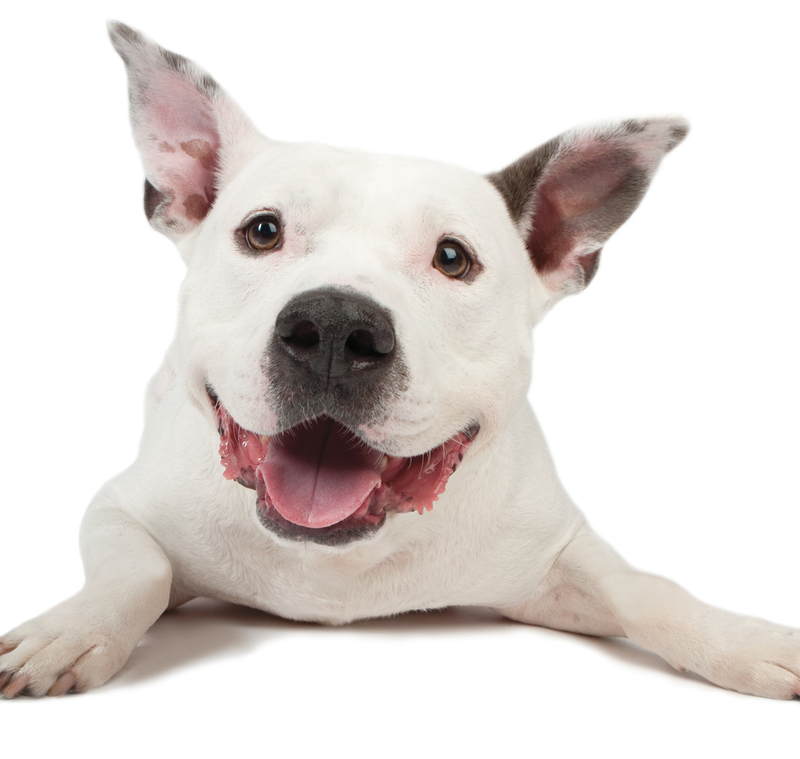 The invitations extended by these agencies reflect an encouraging optimism that a new era has indeed come to Ohio and especially, to the pit bull type dogs that have suffered and died for over two decades. While we celebrate the progress made, it's important to remember that good news will come with an incredibly big workload for dog advocates in Ohio. Re-tooling shelter policies, re-educating the public, re-distributing the resources in a way that advances the cause of building safe humane communities will take ball-busting efforts. From our vantage point, Ohio's players are more than ready. * Visit this site for a break down of dangerous/vicious definitions under HB14.